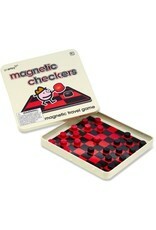 Sharpen your strategy skills wherever you go with this travel-friendly traditional checkers game. The game board doubles as the game piece case which allows for easy storage and transport. 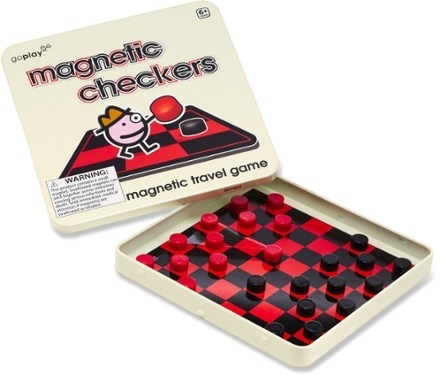 This easy to play board game features a metal board with small magnetic checker pieces. Now you can play on a plane, train, or automobile to past the time without losing playing pieces between the seats. Made using safe and high quality materials, this product is designed to last.